1. Puree the mango slices in the blender. 2. 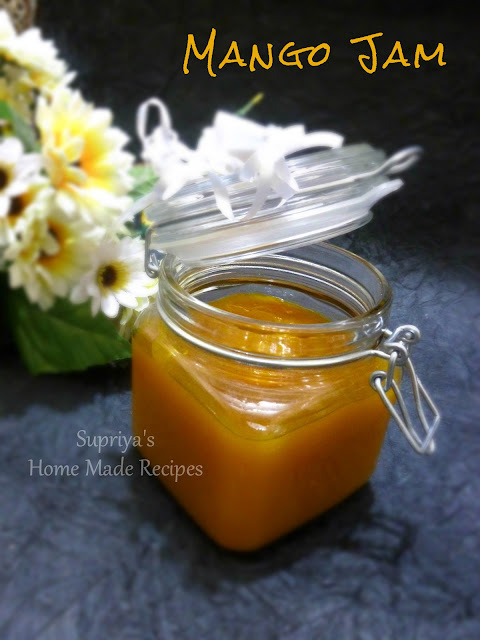 Take mango puree, sugar and lemon juice in a wide pan and cook it in medium to high flame. Once sugar dissolves, it starts to bubble up. Reduce the flame to low to medium flame and cook further with constant stirring. 3. Cook till the mixture starts to thicken and you get the right consistency. This takes about 10 minutes. 4 To test the right consistency. Take half bowl of water and drop some jam in it. 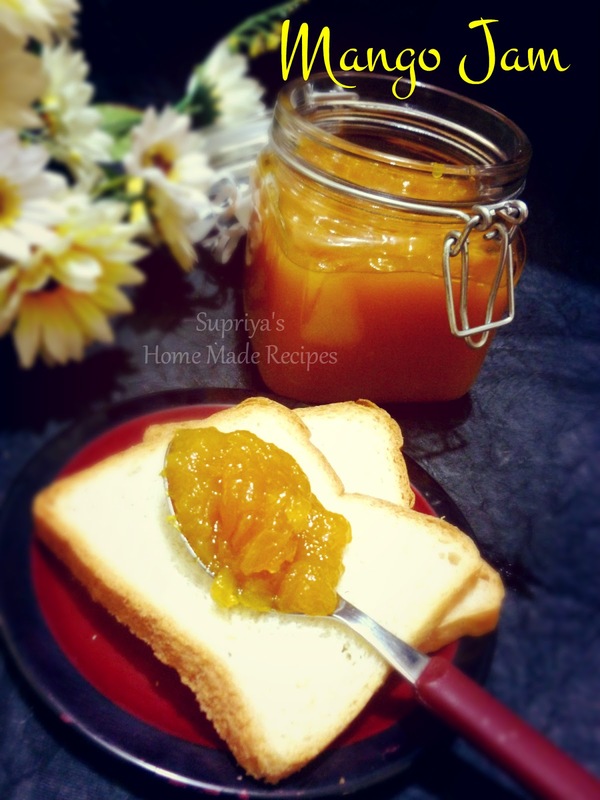 If the jam settles down the bowl, it indicates the jam is ready else cook for another 3 - 4 minutes and check again. 5. Once done, switch off the flame and let it cool completely. Jam thickens more after cooling. Transfer it to a clean air- tight container and store it in a refrigerator. Enjoy with bread slices or chapati's or even dosa's. Note: You can also add in some cardamom powder if you like. Lemon juice helps to crystallize the sugar. 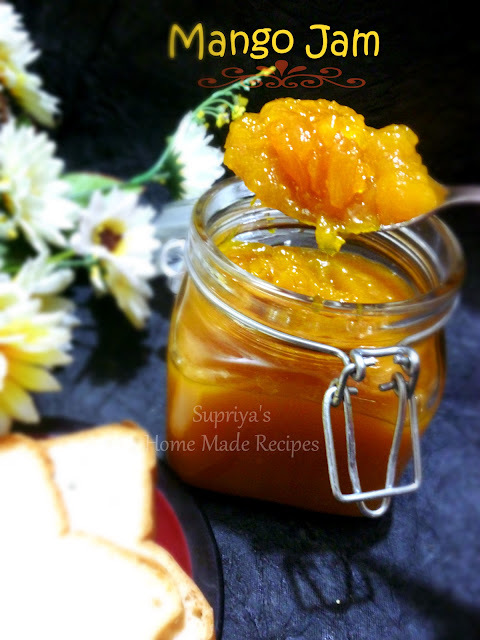 Sugar quantity depends upon your tastebuds and the sweetness of the mangoes you are using to prepare this jam.